What does a Paul Davis Restoration Franchise Cost? Consider Paul Davis, North America’s leading insurance restoration network. For over 40 years, we have been THE innovator in the insurance restoration category - a $71 billion market. 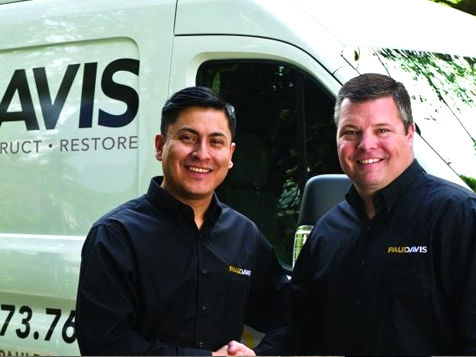 Whether we’re responding to a natural disaster affecting the community or helping a property owner through the aftermath of flooding or a house fire, Paul Davis franchisees are committed to a business model that values the customer and the work we do for them above all else. It is a business built on relationships with both insurance adjusters and policyholders, and one that provides a service that is always in demand. Paul Davis is a rock solid business opportunity, one where you’ll receive top-notch training and support from a team that truly cares about your success. 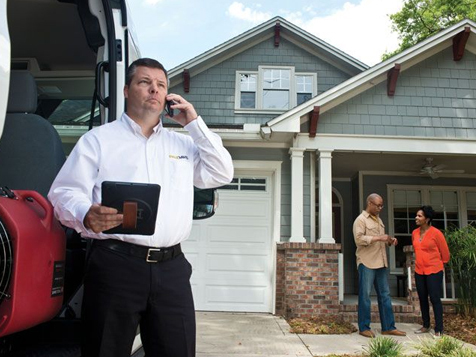 Begin a new chapter in your life with a Paul Davis Restoration or Paul Davis Emergency Services business, where collaboration, heritage, and training come together to create a profitable, scalable recovery and franchise opportunity with an impeccable reputation. With over 370 locations around the US and 50 years of experience, our business owners tackle the recovery process with sensitivity, efficiency, and expertise because they’ve received the best training in the business. Whether dealing with damage from fires, mold, water, storms, natural disasters, or other emergencies, Paul Davis business owners inspire confidence because they know their craft inside and out. Paul Davis also offers business owners flexibility and scalability. 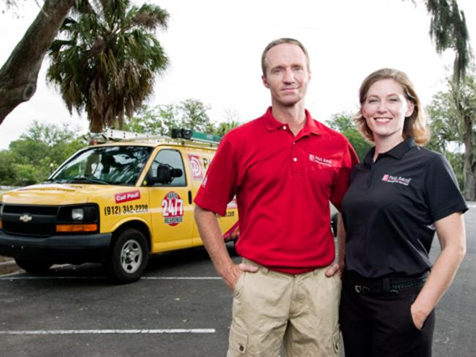 With two levels of investment, Paul Davis Restoration and Paul Davis Emergency Services, franchisees can select an investment level that fits their unique business goals and lifestyle. It’s also possible to grow and scale your business when the time is right for you and your family. We take training seriously at Paul Davis. It’s a bedrock principal of our company, because our reputation is only as good as the education we provide our business owners. That’s why we continually invest in our state-of-the-art training facility and our world-class trainers. Paul Davis business owners leave training prepared to own and operate their restoration businesses because our training is unparalleled. Paul Davis is committed to collaboration. We use a democratic voting process to ensure each and every business owner has a clear voice in our company’s direction and future. Try finding that at another restoration franchise! At Paul Davis, we won’t treat you like a number because you were never a number to begin with. We won’t force you to run your business in a way that’s contrary to your needs because we believe business owners know what their businesses need. We offer continuing education classes, franchisee mentoring programs, marketing support, and a field representative dedicated to your ongoing needs to ensure you’re growing and evolving as a business owner and receiving all the tools you need to thrive. Are you driven, success minded, and ready to start the next chapter of your life? You don’t need to have experience with the restoration business to become a Paul Davis Restoration or Paul Davis Emergency Services business owner. What we look for in our franchisees is the desire to succeed. So, if you’re patient, willing to work hard, learn, and collaborate with our team, you’re an excellent fit for a Paul Davis business opportunity. Emergency restoration is a $71.3 BILLION dollar industry. Invest in your future by investing in a Paul Davis Restoration business! Paul Davis Restoration = $75,000. Paul Davis Emergency Services = $39,000. For Paul Davis Restoration, royalties are 4% of monthly gross sales. Marketing fees are $125 per month plus a variable monthly payment of .33% of monthly gross sales. For Paul Davis Emergency Services, royalties are 8% to 4% of monthly gross sales. The royalty percentage decreases as gross sales increase. Marketing fees are 2% of monthly gross sales.